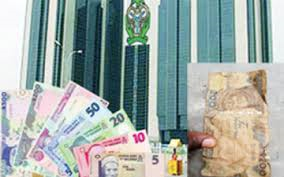 The Central Bank of Nigeria, CBN, yesterday said that five more states got its bail-out funds meant to alleviate the financial challenges faced by the second tier of government, in order to pay off outstanding salary arrears of their workers. The Director of Corporate Communications of CBN, Alhaji Ibrahim Muazu, said in Abuja that the states that received the funds were Ebonyi, Ekiti, Imo, Ogun and Oyo. In a statement, CBN said in order for a state to receive bail out funds, it must submit a resolution of the State Executive Council, SEC, authorizing the borrowing. It must also obtain an approval of the states House of Assembly consenting to it and issue an Irrevocable Standing Payment Order, ISPO, to enable CBN deduct at source when its allocations become available. These 5 states now join 10 states (Kwara, Osun, Zamfara, Niger, Bauchi, Gombe, Abia, Adamawa, Ondo and Kebbi) that had previously received bailouts from the Govt.